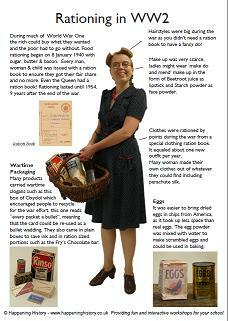 Below are some resources we have created to help teachers educate pupils about life on the homefront during WW2. These resources may only be used for teaching purposes within schools and are copyrighted. 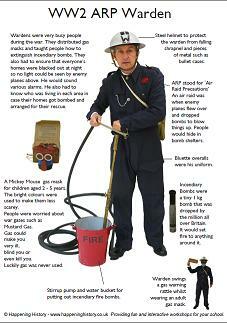 Anyone else wishing to use them must seek Happening Historys permission. We will be adding to these resources over the year so please do keep coming back. Please click on the link to the right of the picture for a pdf, allow 30 seconds for it to load on your screen as the files are quite large.